BEIRUT Israeli warplanes struck a target south of Beirut early Friday, a day after militants fired four rockets into northern Israel, the Israeli military and a Palestinian official said. The Israeli military said Friday that Israeli warplanes targeted "a terror site located between Beirut and Sidon in response" to the rocket attack. 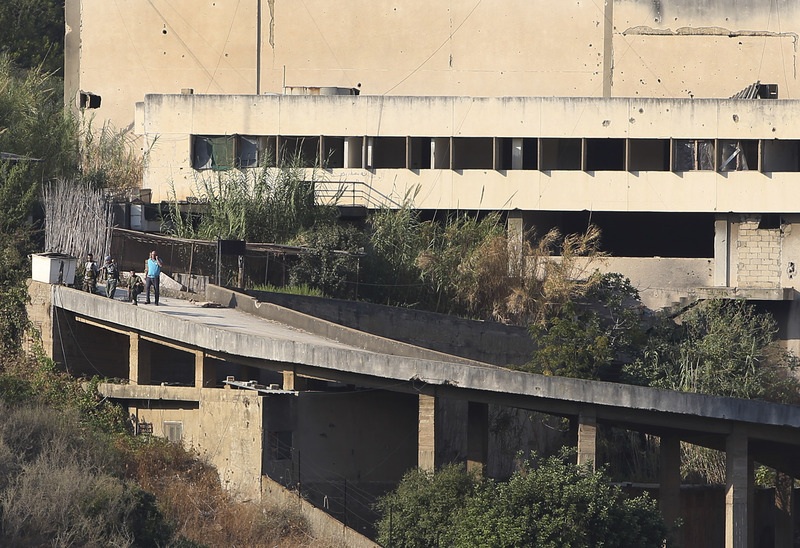 It was the first air raid on the area since the 2006 war between Israel and Lebanon's militant Hezbollah group. Ramez Mustafa, a Lebanon-based official with the Popular Front for the Liberation of Palestine-General Command, said the raid occurred at 4 a.m. and caused no casualties or material damage. He said the warplanes struck the coastal town of Naameh, 10 miles south of Beirut. The Palestinian group is active in the area and has a base there. An Israeli army statement issued after the air raid said: "Yesterday's attack is a blatant breach of Israeli sovereignty that jeopardized Israeli civilian life. Israel will not tolerate terrorist aggression originating from Lebanese territory." Lt. Col. Peter Lerner, a military spokesman, said three rockets landed in northern Israel, while a fourth was intercepted by Israel's "Iron Dome" rocket defense system. No one was injured, and the military dismissed the attack as an "isolated incident." Still, the rockets added to the nation's fears at a time it is nervously watching unrest in neighboring Syria, where the government has been accused of using chemical weapons against rebels and civilians this week. It's also worried about Egypt to the south, where Islamic militants have stepped up their activities near the Israeli border in the wake of a military coup. The Abdullah Azzam Brigades, an al Qaeda-inspired group based in Lebanon, claimed responsibility for the attack in a post on the Twitter account of Sirajuddin Zurayqat, a prominent Islamic militant leader. Zurayqat said the rockets were capable of flying 25 miles, putting the Israeli city of Haifa in its range. The group, designated a terrorist organization by the U.S., has claimed responsibility for past rocket attacks on Israel. That summer war broke out after the Iranian-backed militant group's guerrillas crossed into Israel and captured two Israeli soldiers. The conflict killed about 1,200 Lebanese and 160 Israelis. The last serious clashes along the frontier took place in 2010 when Lebanese and Israeli troops exchanged fire across the border, killing at least three people.